The occupation of the Iberian Peninsula during the Upper Palaeolithic is mainly known from archaeological sites located in the Cantabrian and Mediterranean regions. Numerous sites have been excavated in these two regions when few sites are found in the interior of the peninsula. Several authors explain this scarcity of sites, in the inner region during the Upper Palaeolithic, by a decrease of human population resulting from a low capacity of human groups to adapt to the cold conditions of the Marine Isotopic Stage 2 (MIS 2), i.e. the effect of cold climate on human populations might have been stronger in the interior of the peninsula than in coastal areas. Recent studies underline the evidence of prehistoric occupation during this period in that region. It has been suggested that these occupations are isolated events limited to the warmest phases of the end of the MIS 2. The present study focuses on zooarchaeological and taphonomic aspects of the Magdalenian site of La Peña de Estebanvela (Segovia, Spain). 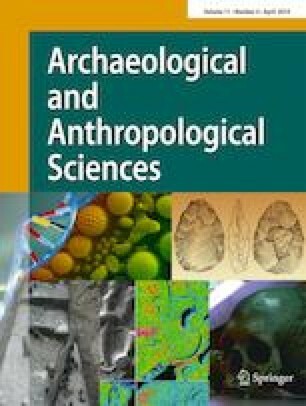 Our results show that this site was recurrently occupied during the Magdalenian period, including warm and cold phases, which provide a new evidence of sustainable presence of human populations in the interior of the Iberian Peninsula at the end of the Upper Palaeolithic. We further propose hypotheses on the subsistence strategies (e.g. availability of hunting resources) developed at La Peña de Estebanvela and in a larger context including other Magdalenian sites of the inner region of the Peninsula. The online version of this article ( https://doi.org/10.1007/s12520-018-0620-z) contains supplementary material, which is available to authorized users. We would like to acknowledge La Junta de Castilla y León and the CSIC: Consejo Superior de Investigaciones Científicas for the financial support to this research project (CyL-14-40.024.002.01) and the anonymous reviewer.